Phyllis Virginia "Bebe" Daniels (January 14, 1901 – March 16, 1971) was an American actress, singer, dancer, writer and producer. She began her career in Hollywood during the silent film era as a child actress, became a star in musicals such as 42nd Street, and later gained further fame on radio and television in Britain. In a long career, Daniels appeared in 230 films. Daniels was born Phyllis Virginia Daniels (Bebe was a childhood nickname) in Dallas, Texas. Her father was a travelling theater manager, Scottish-born Melville Daniel MacMeal who changed his name to Danny Daniels after a disagreement with his own father over his ambition to change from the medical profession to show business. Her mother was a stage actress, born Phyllis de Forest Griffin, who was in Danny's travelling stock company when their child was born. At the age of ten weeks her father proudly carried her on stage even though there was no part in the play for a baby. The family moved to Los Angeles, California in her childhood and she began her acting career at the age of four in the first version of The Squaw Man. That same year she also went on tour in a stage production of Shakespeare's Richard III. The following year she participated in productions by Oliver Morosco and David Belasco. Radio Pictures starred her in a number of musicals including Dixiana (1930) and Love Comes Along (1930). Toward the end of 1930, Bebe Daniels appeared in the musical comedy Reaching for the Moon. However, by this time musicals had gone out of fashion so that most of the musical numbers from the film had to be removed before it could be released. Daniels had become associated with musicals and so Radio Pictures did not renew her contract. Warner Bros. realized what a box office draw she was and offered her a contract which she accepted. During her years at Warner Bros. she starred in such pictures as My Past (1931), Honor of the Family (1931) and the 1931 pre-code version of The Maltese Falcon, which was eventually eclipsed by John Huston's legendary 1941 version with Humphrey Bogart. In 1932, she appeared in Silver Dollar (1932) and the successful Busby Berkeley choreographed musical comedy 42nd Street (1933) in which she sang once again. That same year she played opposite John Barrymore in Counsellor at Law. Her last film for Warner Bros. was Registered Nurse (1934). 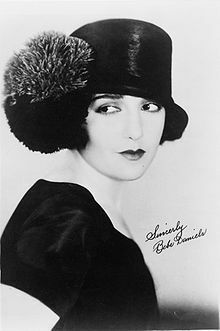 Bebe Daniels retired from Hollywood in 1935, then with her husband, film actor Ben Lyon, and their two children she moved to London. In February 1939 Bebe and Ben co-starred in a series of commercial radio shows, the Rinso Radio Revue, recorded in London for Radio Luxembourg. They and Bebe's mother Phyllis all went back to the USA on 14 June 1939, leaving Barbara and Richard in Los Angeles in the care of Phyllis, before returning to London seven weeks later. After the start of World War II they worked for the BBC, most notably starring in the comedy radio series Hi Gang! Born from an idea by Ben, and with most of the dialogue by Bebe, it enjoyed considerable popularity. A few years later, Daniels starred in the London production of Panama Hattie in the title role originated by Ethel Merman. The couple remained in England through the days of The Blitz. Daniels married actor Ben Lyon in June 1930. They had two children: daughter Barbara in 1932 and a son Richard (born Bryan Moore in 1935), whom they adopted from a London orphanage. In an issue of the contemporary magazine Radio Pictorial, Bebe explained how she saw Richard peering through the railings and instantly thought "A brother for Barbara". Daniels suffered a severe stroke in 1963 and withdrew from public life. She suffered a second stroke in late 1970. On March 16, 1971, Daniels died of a cerebral hemorrhage in London at the age of 70. She died 8 days after her co-star Harold Lloyd. Her remains were cremated at London's Golders Green Crematorium and the ashes returned to the United States; she was interred at the Chapel Columbarium at Hollywood Forever Cemetery. Upon his death in 1979, Ben Lyon's remains were interred next to Daniels'. A biography Bebe and Ben was written by Jill Allgood, a personal friend who worked with them at the BBC. Allgood, Jill (1975). Bebe and Ben. Robert Hale & Co. ISBN 978-0-709-14942-2. Daniels, Bebe; Allgood, Jill (1950). 282 ways of making a salad with favorite recipes by British and American personalities and stars. Cassell & Co. OCLC 13066530. Epting, Charles L. (2016). Bebe Daniels:Hollywood's Good Little Bad Girl. Jefferson, North Carolina: McFarland & Co Inc. ISBN 978-1476663746. ^ Golden, Eve (2001). Golden Images: 41 Essays on Silent Film Stars. McFarland. p. 18. ISBN 978-0-7864-0834-4. ^ "When the Five O'Clock Whistle Blows in Hollywood". Vanity Fair. September 1922. Retrieved June 27, 2017. ^ a b Golden, Eve (2000). Golden Images: 41 Essays on Silent Film Stars. McFarland. p. 21. ISBN 978-0-786-48354-9. ^ Donnelley, Paul (November 1, 2005). Fade to Black: A Book of Movie Obituaries. Omnibus Press. p. 301. ISBN 978-1-84449-430-9. ^ D'Agostino, Annette M. (2004). The Harold Lloyd Encyclopedia. McFarland. p. 75. ISBN 978-0-786-41514-4. 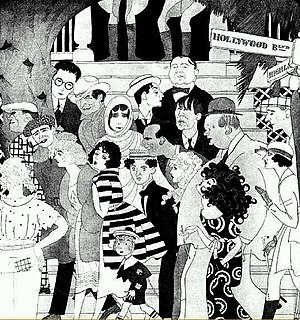 ^ "What a Night (1928)". Turner Classic Movies. Retrieved May 5, 2012.